The Gentleman Caller Mouse is an Event Mouse found during the annual Valentine's Day or Lunar New Year events. Will his displays of affection and sweet cooing of “m'lady” be enough to win her favour, or will his his dreams be cast aside like so many wishes cast upon the vast shore of heartbreak? Only time will tell. Let us wish this little scamp good luck! Information on how to locate and capture the Gentleman Caller Mouse can be found on the current Valentine's Day or Lunar New Year location page. 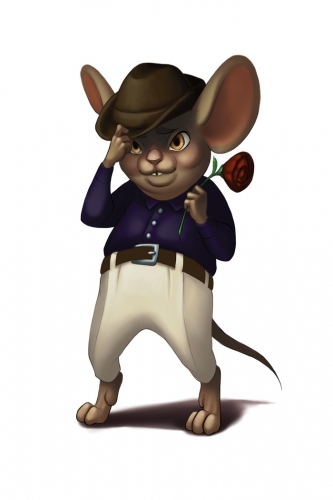 12 February 2015: The Gentleman Caller Mouse was released as part of the Valentine's Day +13 Luck Event. This page was last edited on 8 February 2016, at 21:47.